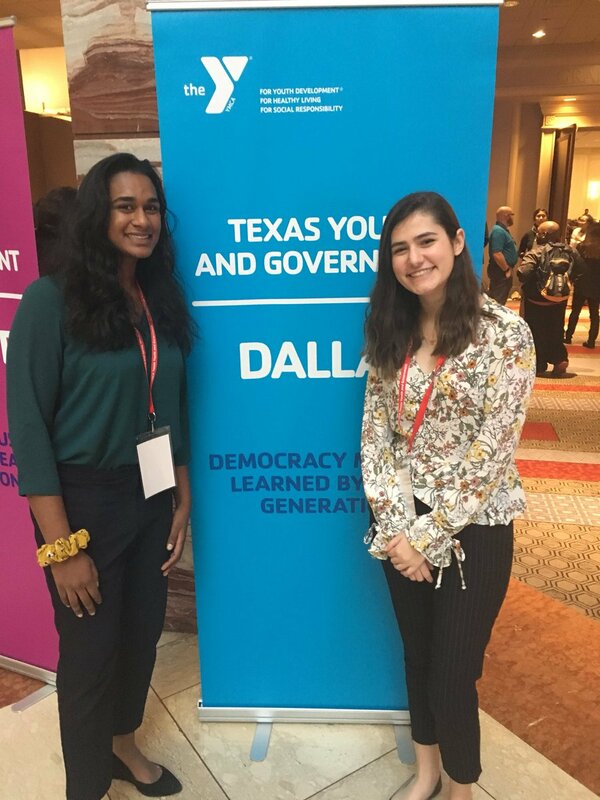 Last weekend, ESD Youth and Government delegation traveled to the YMCA Youth and Government State Conference in Austin. Youth and Government allows our students to fully express themselves and find/use their voice. It teaches and reinforces important skills - speaking, writing, research, collaboration, critical thinking, thinking on their feet, and more. Each of these skills are important to both our students' futures and our country's future. 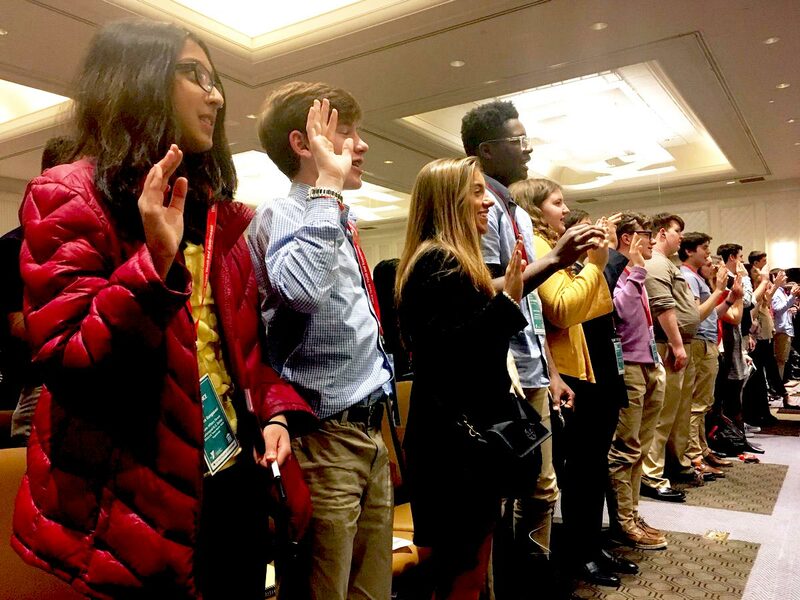 For the sixth year in a row, this time under the leadership of club president Anastasia Sotiropoulos ‘19, ESD earned Premier Delegation status! FOR THE FIRST TIME EVER, ESD had a student win a state YG office - Nikash Harapanahalli ’20 will be the Chair of the State Affairs Forum. He will help establish new policies for the program, decide the topic areas for proposals, and run next year's SAF General Assembly. FOR THE FIRST TIME EVER, ESD had a State Affairs proposal pass the General Assembly. Nikash's proposal not only passed (one of the five total that passed), it had the highest score of any proposal. Nikash also earned Distinguished Delegate in SAF. Meera Gangasani ’20 was chosen to serve as a clerk, assisting the Chair, in the General Assembly. Natalie Parker ‘22, Meera, and Nikash all presented Pro/Con Intent presentations in the General Assembly. Only 20 students out of the 120+ SAF delegates had this opportunity and had to put in extra work to do so. Natalie also became the first ESD freshman to have their proposal pass the first round. She impressed the YMCA section leader with her efforts, especially her Intent speech ("best of the day"), and almost earned a Distinguished Delegate award. Zander Knight ’21 received Distinguished Delegate for his work in the House. Carter Bakewell ’21 (Hyde Senate) and Zander (House) were each chosen to be Chaplains in their respective chambers. Gabe Letcher ’21 passed his bill through committee and received serious consideration for the House docket. His controversial bill received a great deal of discussion, including coverage from the Media section. Sriya Dodda ’19 and Anastasia stood out in the very competitive Senate with their questioning and Pro/Con debate. The YMCA Section leaders praised the quality of their speeches. Brian Jones ’20 served as a judge in the Judicial - Appellate Showcase Round. He also scored 90%+ for his judging. Brian also received the Outstanding Club Delegate Award. Anna Strohmeyer ’21 and Judah Powell ’21 continued to improve in Appellate Court, earning a near-perfect score in one round. Anna actually earned eight 5s (highest score given) throughout the competition. Many of our students received YG press. Whether it was on the blog, Twitter, or Facebook, we had students in ink, photos, and video. Please congratulate each of our students on their individual and collective success.